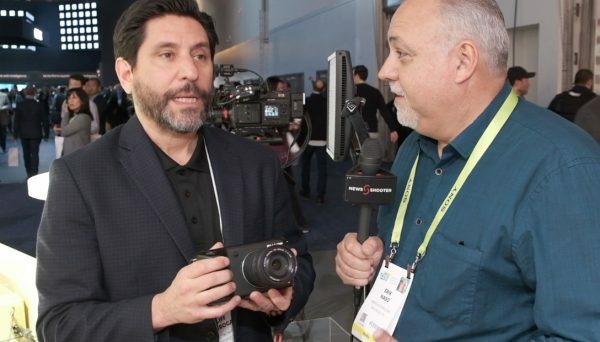 Sharp was showing an 8K Micro Four Thirds Camera at CES 2019 in Las Vegas. The camera is more than just a concept and it will be officially announced this year. 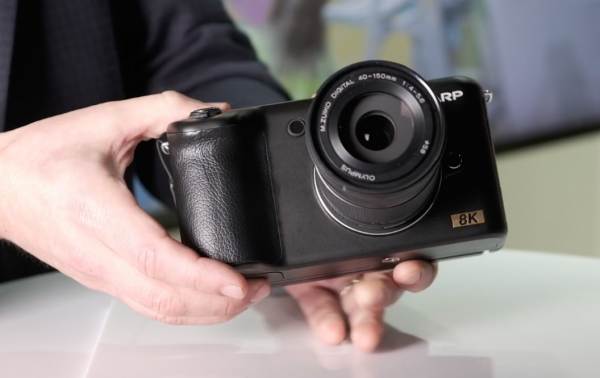 In a lot of ways, the camera looks quite similar in design to a BMPCC 4K. It features a Micro Four Thirds sensor and mount, so it will be compatible with a lot of glass that is already available. Just how some of these Micro Four Thirds lenses will handle 8K resolutions will be interesting to see. According to Sharp, the camera will record 8K (7680×4320) at up to 30fps using H.265 compression. 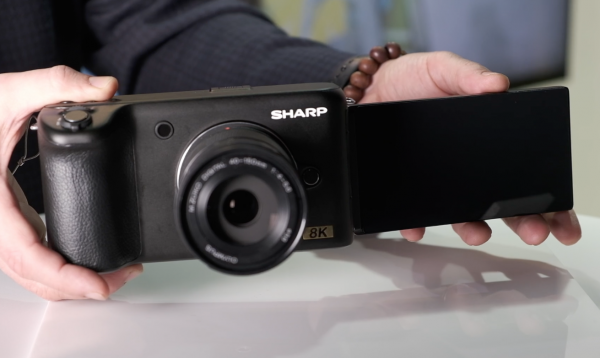 Sharp did, however, tell us that they are working on giving the camera the ability to record 8K 60p. We still have no idea if the camera will be able to record at other resolutions or frame rates. I would take a lot of these specifications with a grain of salt at this stage. Until the camera is officially released the specifications are still very much up in the air. The camera will feature a large 5″ flip-out rear screen that Sharp has made with Vloggers and YouTubers in mind. Sharp hinted to us that the 5′ display will be a touch screen. I like that Sharp has incorporated a very large screen because getting critical focus when shooting in 8K is not an easy task. The camera on display featured a Mini XLR port, full-size HDMI, USB-C, headphone, and a microphone jack. It will also be interesting to see how good the battery life will be. 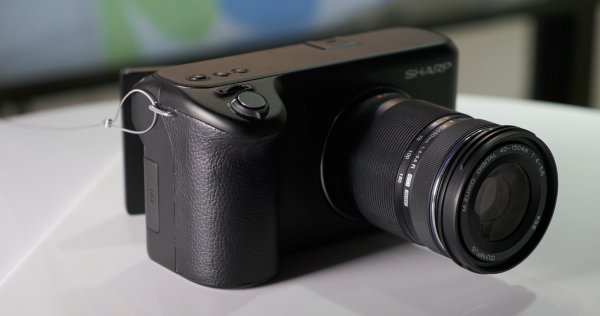 Sharp also told us that the camera will probably have some sort of still frame capture mode, which makes sense, given the resolution of the sensor. An 8K camera with a Micro Four Thirds sensor is going to have pretty tiny pixels, so I wouldn’t expect the camera to be very good in low light shooting conditions. Dynamic range could also be limited. In late 2017 Sharp unveiled a professional 8K camera at the Interbee show in Japan, and now it looks like they are trying to become a player in the prosumer and high-end consumer markets. In an interesting footnote, the 8K Micro Four Thirds camera has been developed with Sharps parent company Foxconn, who RED was supposedly going to collaborate with to bring out an affordable 8K solution. 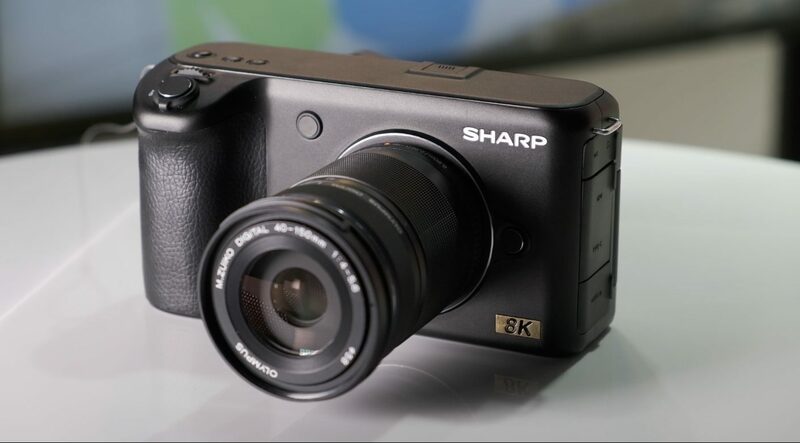 Foxconn does own Sharp, so it’s no surprise that they are leveraging the Sharp brand to push out this camera. What do you think of the new Sharp 8K Micro Four Thirds Camera? Let us know in the comments section below.